Louis C.K. 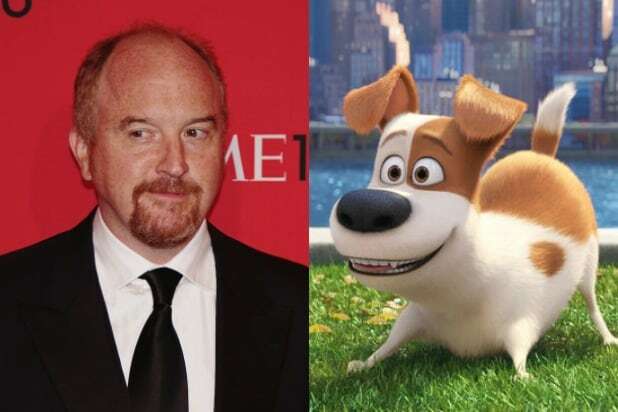 ("Max")Known for his work on FX's "Louie" and the self-produced "Horace and Pete," the famed comedian makes his animated debut in "The Secret Life of Pets" as the film's Jack Russell Terrier protagonist, Max. 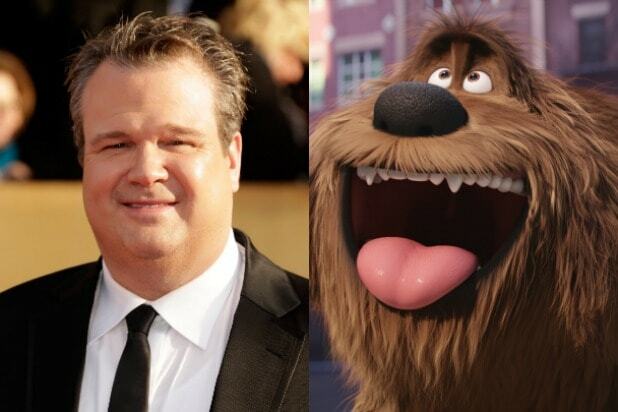 Eric Stonestreet (Duke)The Emmy-nominated "Modern Family" actor voices Max's Newfoundland canine roommate, Duke. 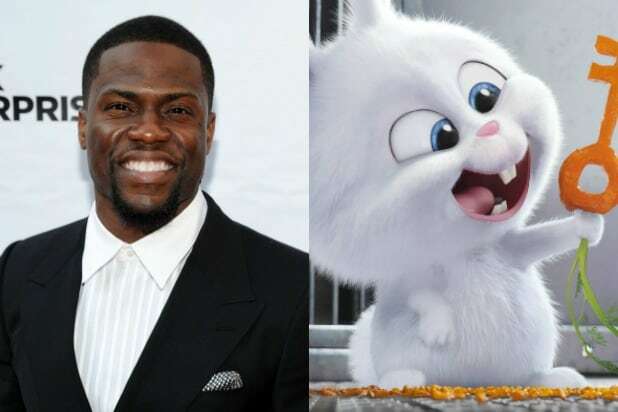 Kevin Hart (Snowball)One of Hollywood's most bankable stars, Hart has already dominated the summer with "Central Intelligence." It was only a matter of time before he made his way to animation as the villainous bunny Snowball. Hart is also scheduled to voice a character in next year's DreamWorks flick "Captain Underpants." Steve Coogan (Ozone)Before Coogan performed in films like 'Philomena' and 'Alan Partridge,' the British actor worked as a voice artist on the satirical puppet show 'Spitting Image.' In 'Pets,' Coogan's vocal expertise returns, playing the Sphynx cat Ozone. Ellie Kemper (Katie)Having voiced characters on TBS' "American Dad" and HBO's "Animals," the "Unbreakable Kimmy Schmidt" star continues to use her perky vocals as Katie, Max and Duke's kind human owner. Bobby Moynihan (Mel)Moynihan put his voice to work in two Pixar films -- "Monsters University" and "Inside Out." In his latest animated outing, the "SNL" performer plays the hyperactive pug, Mel. Lake Bell (Chloe)The New York-based actress/writer/director knows a thing or two about voice acting -- she played an aspiring voiceover artist in her 2013 feature debut, "In a World." With "Pets," Bell continues her vocal work as an apathetic tabby cat, Chloe. Dana Carvey (Pops)The "SNL" alum has had some experience in vocal acting, voicing animated characters on "The Fairly OddParents" "Hotel Transylvania 2," and "Rick and Morty." In "Pets," he plays the elderly Basset Hound, Pops. Hannibal Buress (Buddy) The stand-up comic already contributed his voice in this year's "The Angry Birds Movie," and now continues his animated streak as dachshund Mel. Jenny Slate (Gidget)The "Obvious Child" actress is notable for her dynamic vocals, having voiced characters in "Zootopia," "The Lorax" and "Marcel the Shell with Shoes On," a collection of short films she co-created. Slate's voice can now be heard through the white Pomeranian Gidget. Albert Brooks (Tiberius)Though Brooks is known for his roles in "Defending Your Life" and "Drive," one of the actor/director's most famous turns comes from voicing Marlin in Pixar's "Finding Nemo" and "Finding Dory." In "Pets," Brooks continues to utilize his voice as the red-tailed hawk Tiberius. Tara Strong (Sweet Pea)A professional voice artist, Strong has been in multiple Nickelodeon and Cartoon Network shows, from "The Powerpuff Girls" and "The Fairly OddParents" to "Teen Titans." In "Pets," Strong provides the voice of the parakeet Sweet Pea and other additional characters. Chris Renaud (Norman)The co-director of "The Secret Life of Pets" lent his voice to the "Despicable Me" movies and the "Minions" spinoff. Renaud makes a cameo in "Pets" as the guinea pig Norman.